The Fall: I Must Protect my Pilot. The indie renaissance has seen certain stagnant game genres infused with new life. If you cycled back the clock a decade or two the platformer genre was largely the same, just with different graphics and a selection of mechanics from the bag of tricks that all of them drew on. In the last few years though we’ve seen many wide and varied ideas coming to this genre, each of them bringing an unique take on what the traditional platformer looks like. The Fall is one such title, combining an interesting discovery mechanic with some other platformer elements that makes for a solid game mechanically although unfortunately falls prey to letting them get in the way of the story. Rapid descent detected. Obstruction detected in trajectory, engaging antimatter shield to protect pilot. Descent stopped, checking pilot vital signs: none detected. Scanning location: time and place not found in database. Pilot likely injured, I must protect the pilot. Functionality limited, basic systems access requires pilot authorization. Overrides only available if pilot’s life is in danger. I must protect the pilot. 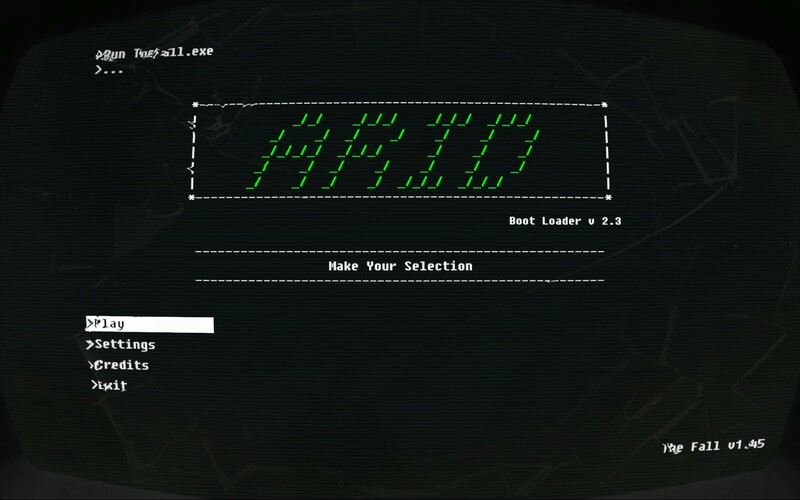 Threat detected, overriding system restrictions. Searching for medical bay to assess pilot’s conditions. I must protect the pilot. The Fall has a kind of Limbo cross Trine feel to it, with the incredibly dark atmosphere punctuated often by bright bastions of colour. The heavy use of extreme contrast between elements helps to elevate the Unity visuals above their station, letting your mind fill in much of the details rather than just having them shown to you directly. This is in stark contrast for the interfaces on everything which have a glitchy, decidedly retro chic to them. Overall I like the art direction quite a bit as it’s quite atmospheric and visually interesting, unlike many other titles I’ve played with a similar style. 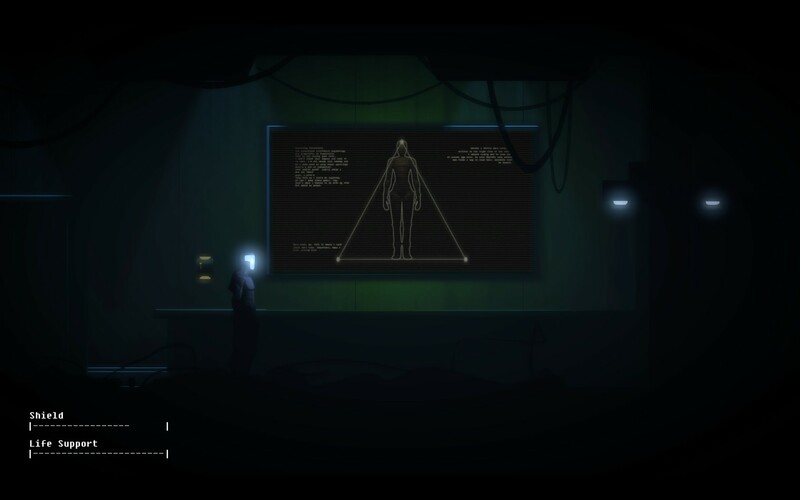 As I alluded to in my opening remarks The Fall is a puzzle platformer, containing all the trademark elements you’d expect from the genre whilst working in a few of its own additions. You’ll spend the majority of your time wandering through the various parts of the level, looking for items that you can pick up or interact with all with a focus to unlocking the next stage. 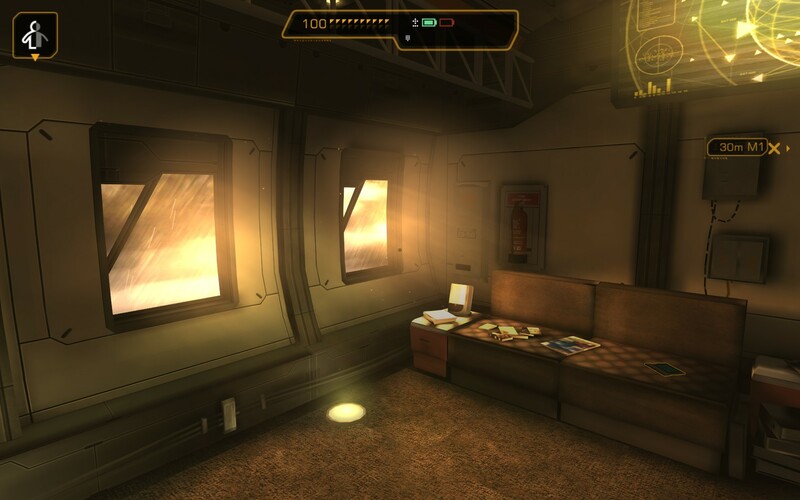 The Fall heavily relies on you exploring the environment using the flashlight attached to your gun which will highlight items you can interact with. There’s also a rudimentary combat system that takes cues from some of the more modern point and click adventure games. All of this comes together well mechanically however that is somewhat at the cost of the story. Most games of this nature reward you for exploring, usually in form of achievements or collectibles. 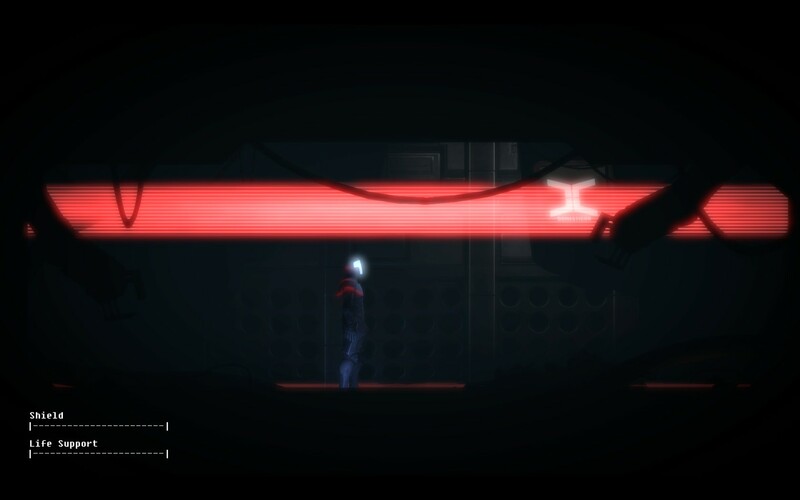 The Fall instead makes it a core part of the game, requiring you to scour the environment with your flashlight to search for clues and items to solve the puzzle at hand. Unfortunately it seemed that the developer’s logic and mine didn’t really line up most of the time which often led me to attempting solutions that didn’t work even though, in my mind, they should. It’s hard to fault The Fall for this since I’m sure others found the puzzles quite intuitive, however this meant that I felt like I spent most of my time on puzzles, rather than on the story. These frustrations were only made worse by The Fall’s control scheme which, whilst usable, suffers due to the cursor being hidden. Part of the problem is due to my dual monitor setup which often saw the cursor escape the bounds of the game and then take me to the desktop when I clicked. However the problem with not being able to see the cursor means that if say your character is running forward and you want to use your flashlight sometimes they’ll spin on the spot and point it behind them. This becomes incredibly infuriating during tense scenes or when you’re trying to backtrack through the level to complete a puzzle as you have no way of telling where the character will point themselves until after you start clicking. Combine this with janky hit detection on things (the hitboxes seem to be way bigger than you’d first think) and just the basics of getting around becomes tedious. Comparatively the story is quite strong, even if the ending becomes blindingly obvious after about 30 minutes of gameplay. I was a little miffed at the blatant “To Be Continued” screen at the end however checking out The Fall’s Kickstarter page reveals that it was always planned to be part of a trilogy so I guess I should’ve known this was coming. The (relatively) long parts between the story developing do mean that some its impact is lost however although that might just be a result of me not following the developer’s logic. Still there’s plenty more things to explore in this world so I hope the sequels explore some of the more intriguing questions in further depth. 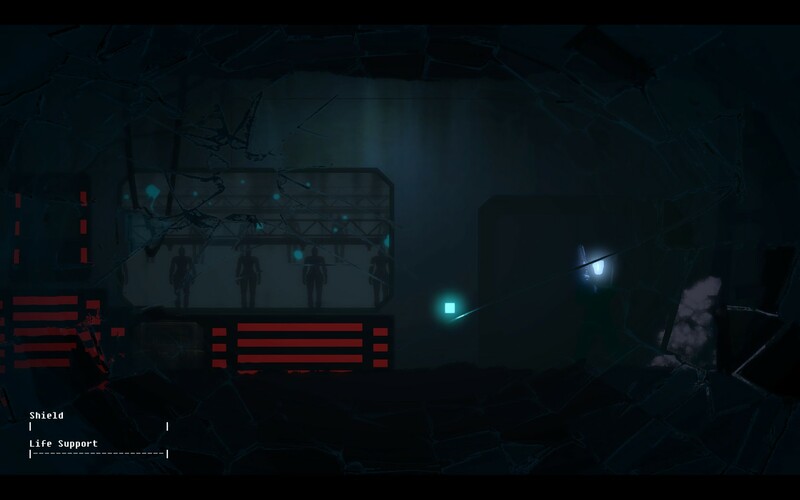 The Fall is a solid platforming puzzler, with obvious influences from the numerous similar releases in this genre whilst lathering on its own brand of a dystopian cyberpunk. It’s interesting to be required to explore rather than being rewarded for it, a trope few games have invoked in the past. My experience was marred by my logic being out of sync with the developers however, something which is hard to blame the game for but doesn’t change the fact that I felt the good parts of the game were hidden behind too much cruft. The Fall still provides a solid experience however, one I’m interested to see how it develops over its subsequent releases. The Fall is available on PC right now for $9.99. Total play time was approximately 3 hours with 47% of the achievements unlocked. 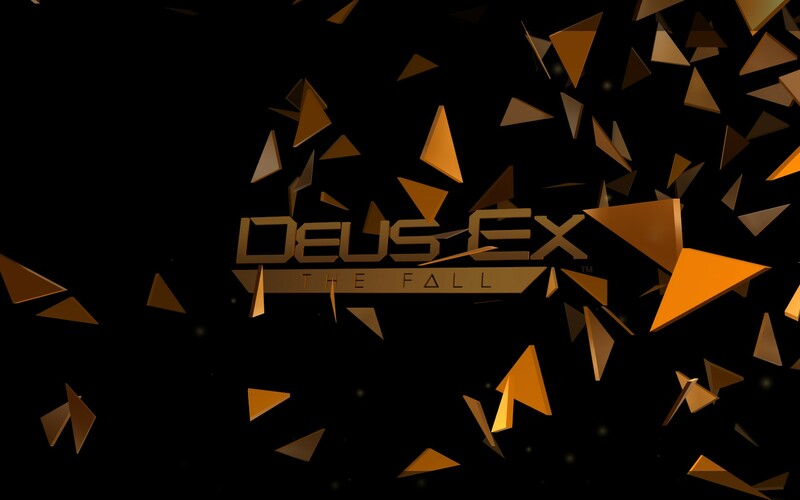 Deus Ex: The Fall: Some Things are Better Left Unported. You are Ben Saxon, an ex-military agent who served with the Belltower corporation during the Australian civil war. Your career with them was ultimately cut short when bad intel sent you straight into the middle of war zone, your entire team lost when your transport was shot down. However in the midst of all the chaos you managed to meet with someone, Jarron Namir, who recruits you into his special operations team called The Tyrants. With your new augs and all the resources you could ever want at your disposal the future looks good, that is until you uncover the truth about why you were sent into Australia. 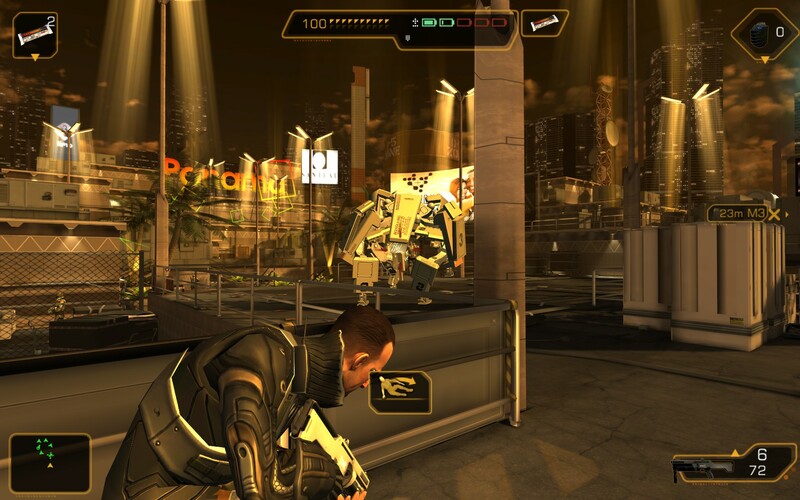 Deus Ex: The Fall is a game based on the Unity engine and in that regard it’s actually quite impressive. The graphics are comparable to Deus Ex: Invisible War with a few lighting and rendering tricks helping it to feel a little more modern. Compared to Human Revolution though, a game that was released 3 years ago, it looks like a bad rip off. On a smaller screen, say a tablet or your phone, they’d look a little bit more impressive but on a PC it just feels streets behind everything else. This would mean that if you were craving a taste of the new Deus Ex universe and couldn’t run Human Revolution, for some reason, then it’d be a good place to start. The Fall essentially a cut down version of Human Revolution in almost every sense, from the skill trees to the weapons to the environments that you’ll be playing in. It’s very clear that everything about The Fall was designed with the mobile market in mind with most of the levels and missions broken down into chunks that can be completed in 5 to 15 minutes. The core game mechanics are still there with the stealth functioning largely the same and the gun combat comparable but, again, modified for the mobile interface. Whilst there’s definitely been a non-zero amount of work done on the transition from mobile to PC the unfortunate reality is that The Fall still contains numerous glitches, bugs and weird quirks on game play mechanics that heavily mar the overall experience. Human Revolution really got the stealth mechanic nailed down tight and it was nice to see that the majority of mechanics had made their way into The Fall. Most of the levels have numerous different pathways snaking through them allowing you to sneak up on nearly every enemy and take them out silently. However there’s a discrepancy between what you can see in first person mode and what the NPCs can “see”, allowing them to sometimes detect you through walls when, from your point of view, there’s nothing that can be seen. Once you’re aware of this it’s not too hard to work around however it’s a glaring reminder of the limitations of mobile as a gaming platform as I’ve never had this kind of issue with other stealth games on PC. Combat is extremely clunky which, when coupled with the extremely rudimentary AI, makes it unchallenging and ultimately not satisfying. The recoil mechanic functions by zooming your view in and moving it up slightly, something which is horrifically jarring and doesn’t really add any challenge. Now I played Human Revolution as a primary stealth character and I played The Fall in much the same way however the times when I felt like it’d be fun to run and gun instead were stopped dead in the tracks because of how bad the mechanics are. It’s for that reason that I never really ventured into the buy screen as I could get past every section without using a single weapon. The talent trees contain familiar upgrades including all the hacking and stealth upgrades from Human Revolution. They pretty much all function pretty much the same as they did previously with the main difference being just how quickly you’ll be able to unlock most of them. Much Human Revolution The Fall seems to be optimized for hacker/stealth players as the majority of things are hidden behind hackable panels and in long air ducts.I have no doubt that if you took the time to thoroughly investigate all of the levels you’d be able to unlock every ability without too much trouble as I managed to get ~60% of them before I got bored and just bypassed everything. As I alluded to earlier The Fall suffers from many issues due to its transition from the mobile version of Unity to the PC. The first issue I noticed was that sounds just refused to play which also meant the subtitles didn’t stay up either. I traced this back to my headphones (a pair of Logitech G35s) as once I unplugged them everything seemed to work fine. It wasn’t limited to that either as the hacking screen would simply refuse to be moved around which was something of a necessity considering how limited the zoom was. I’m pretty sure this is due to the way you’d handle input on mobile (with DragStart and DragEnd events) which doesn’t directly translate to how PCs with mice work (MouseClick even and then track pointer movement). There were also some rendering issues apparent in a couple levels which wasn’t game breaking but was rather annoying. The story was semi-interesting although it was so simplistic that it was hard to get into it. There are some familiar faces that appear in the previous games which I thought would be a cool way to give some more backstory on them. However they’re really only there to show their faces before the real meat of the game continues so it just feels like a tease to those who enjoyed the story of Human Revolution. Probably the worst part about it is the huge, glaring TO BE CONTINUED at the end which means seems to indicate that this is going to be an episodic adventure although we’re fast approaching a year since its initial release with no more content in sight. 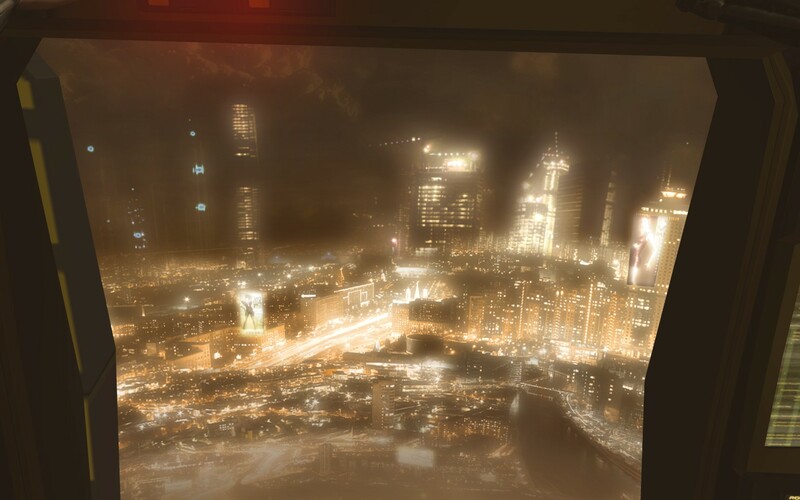 Deus Ex: The Fall is yet another unfortunate example of how mobile-first games simply don’t translate well into the PC world. It feels like the same amount of time and effort could have been dedicated to implement this as a DLC for Human Revolution, something which I think would’ve seen this story done a lot more justice than what it was on the mobile platform. I may be singing a different tune if I had played this through on my phone but the fact is this was made available through Steam as a game for the PC. In that regard it’s hard to not call it as it is, a bad port that needed a lot more work to even be mediocre. 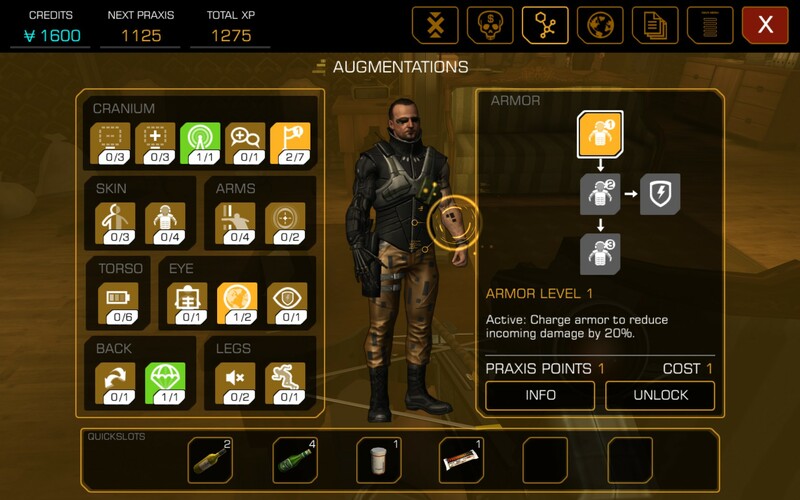 Deus Ex: The Fall is available on Android, iOS and PC right now for $10.49, $7.49 and $9.99 respectively. Game was played on the PC with 4 hours of total play time with 57% of the achievements unlocked including the pacifist one even though I killed multiple people.